HURRY! 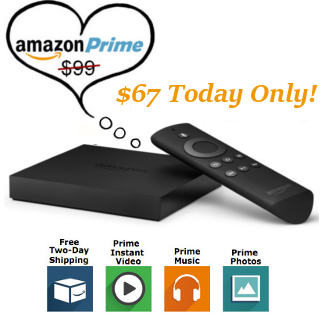 For today only, grab a one-year annual membership to Amazon Prime for just $67! (Reg $99) Along with free two day shipping year-round, you get tons of other benefits with your Prime membership. You’ll also get access to Prime Pantry!